Mitchell Reiss is a former senior U.S. diplomat who is a non-resident adviser at the Center for Strategic and International Studies and president of the Colonial Williamsburg Foundation in Virginia. He held numerous positions during the George W. Bush presidency, including as director of policy planning at the State Department under Colin Powell and as special envoy to Northern Ireland peace process under Condoleezza Rice. He was also the first general counsel of the Korean Peninsula Energy Development Organization (KEDO), a multinational organization that provides energy resources to North Korea as a means of securing diplomatic leverage. “It would be a grave error to allow the Islamic Republic to emerge from the negotiations with its nuclear ambitions intact, its terrorist activities undiminished, and its people denied their basic rights,” Reiss and Takeyh argued. 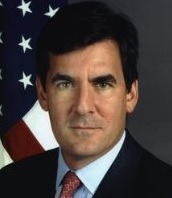 Previously, Reiss was part of a well-funded bipartisan effort among former elected officials and government officers to remove the Muhajedin-e Khalq (MEK), an Iranian opposition group that has violently opposed Iran’s clerical regime in the past, from the U.S. State Department’s list of proscribed terrorist organizations. The MEK was removed from the list in September 2012. Reiss advised both the 2008 and 2012 presidential campaigns of former Massachusetts Governor Mitt Romney. Because of his support for targeted negotiations with groups like the Taliban, Reiss was often characterized as one of the more moderate members of Romney’s advisory term, helping offset the hardline edge provided by neoconservative advisers like Dan Senor. Reiss has served as a senior associate of the security program at the hawkish Center for Strategic and International Studies, as well as on the board of directors of the “liberal hawk” Center for a New American Security. Reiss was also the president of Washington College in Maryland from 2010 to June 2014. He formerly taught and served as a vice-provost and dean of international affairs at the College of William and Mary. He is the author of the 2010 book Negotiating with Evil: When to Talk to Terrorists, which makes a qualified case for U.S. diplomatic engagement with international terrorist organizations. William and Mary, “Statement of Mitchell Reiss being named CW President,” June 17, 2014,http://www.wm.edu/news/announcements/2014/statement-on-mitchell-reiss-being-named-cw-president.php. Washington College, Mitchell Reiss bio, http://president.washcoll.edu/mitchellreiss/biography.php. Reiss and Takeyh, “Don’t Get Suckered by Iran,” Foreign Affairs, January 2, 2014,http://www.foreignaffairs.com/articles/140620/mitchell-b-reiss-and-ray-takeyh/dont-get-suckered-by-iran. Gary Samore and Graham Allison, “New Obstacles to negotiations arise – best analyses,” Belfer Center, January 10, 2014,http://iranmatters.belfercenter.org/blog/new-obstacles-negotiations-arise-best-analyses. 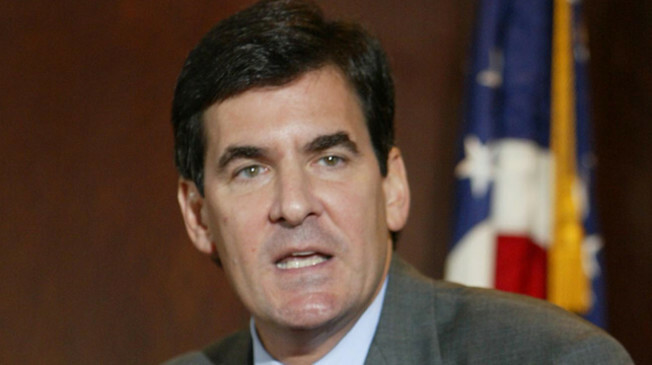 Scott Shane, “Iranian Dissidents Convince U.S. to Drop Terror Label,” The New York Times, September 21, 2012,http://www.nytimes.com/2012/09/22/world/middleeast/iranian-opposition-group-mek-wins-removal-from-us-terrorist-list.html?pagewanted=all&_r=0. Ryan J. Reilly, “Romney Advisor Mitchell Reiss Backs ‘Terrorist’ Group, Jokes About Being ‘Potential Criminal,’” Talking Points Memo, April 6, 2012, http://tpmmuckraker.talkingpointsmemo.com/2012/04/romney_advisor_mitchell_reiss_backs_mek.php. Michael Rubin, “What’s Behind the Campaign to Delist the Mujahedin al-Khalq Organization?” Contentions blog, Commentary, February 24, 2011,http://www.commentarymagazine.com/2011/02/24/whats-behind-the-campaign-to-delist-the-mujahedin-al-khalq-organization/. MittRomney.com, “Mitt Romney Announces Foreign Policy And National Security Advisory Team,” October 6, 2011,http://www.mittromney.com/blogs/mitts-view/2011/10/mitt-romney-announces-foreign-policy-and-national-security-advisory-team. See, for example, Mitchell Reiss, “Negotiating with evil,” Foreign Policy “Shadow Government” blog, January 11, 2012,http://shadow.foreignpolicy.com/blog/2197. Eli Lake, “All Over the Map,” New Republic, July 28, 2011. Asawin Suebsaeng, “The Foreign Policy Adviser Mitt Romney Threw Under The Bus,” Mother Jones, January 17, 2012,http://www.motherjones.com/mojo/2012/01/foreign-policy-advisor-mitt-romney-threw-under-bus-mitchell-reiss. Ari Berman, “Mitt Romney's Neocon War Cabinet,” Nation, May 2012, http://www.thenation.com/article/167683/mitt-romneys-neocon-war-cabinet. CSIS, Mitchell Reiss bio, http://csis.org/expert/mitchell-b-reiss. CNAS, Board of Directors, http://www.cnas.org/people/boardofdirectors. William and Mary, “W&M’s Reiss named president of Washington College,” December 4, 2009,http://www.wm.edu/news/stories/2009/reiss-tapped-to-be-president-of-maryland-college-123.php.